Eurodollar hasn’t been able to form the fifth wave of the current correction and continues falling. The pair has reached a new low and right now is forming triangle consolidation pattern, which may be considered as a downside continuation pattern. 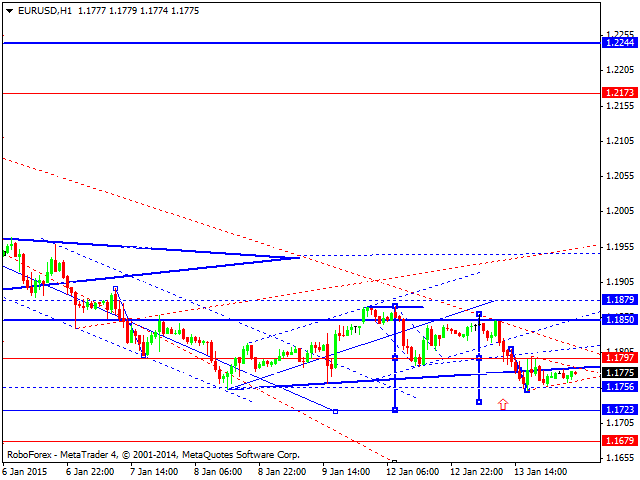 The next target is at level of 1.1700. After reaching it, the price may return to level of 1.1850 and then start a new descending movement towards the target at level of 1.1500. 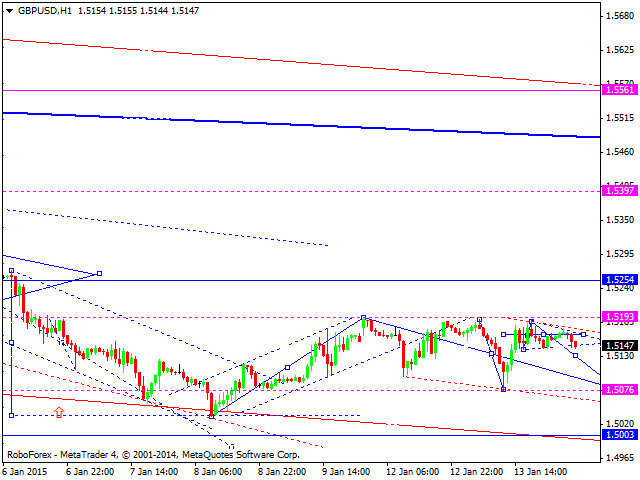 After falling, Pound continues moving upwards with the target at level of 1.5200. Right now, the pair is forming triangle consolidation pattern. If the price breaks the pattern upwards, the market may reach the above-mentioned target or even level of 1.5250; if downwards – fall towards level of 1.5075 or even extend this wave to reach level of 1.5000. Franc hasn’t been able to form the fifth wave of the current correction and is moving to renew its maximum. Right now, the pair is forming a consolidation channel, which may be considered as a continuation pattern. 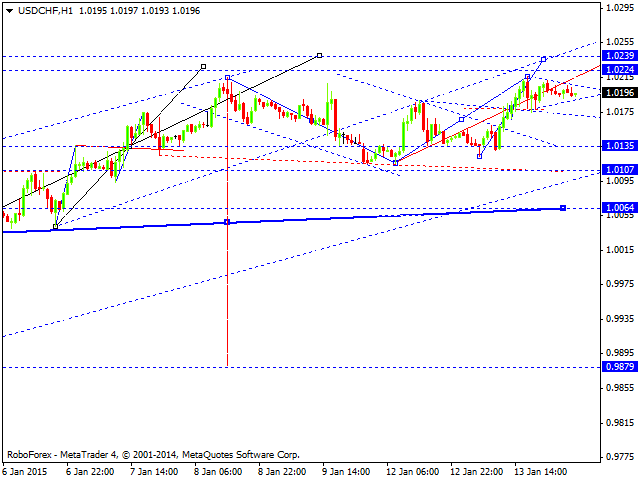 We think, today the price may continue growing to reach level of 1.0240. After reaching it, the market may fall towards level of 1.0135 and then start another ascending movement to reach level of 1.0500. Yen started falling “in pursuit” of its cross rates; the pair is forming a wave with the main target at level of 115.55. We think, today the price may reach the local target at 116.40 and then form a correction towards level of 118.15. After that, the price may continue falling towards the main target. Such structure matches the formation of the third wave inside the downtrend. 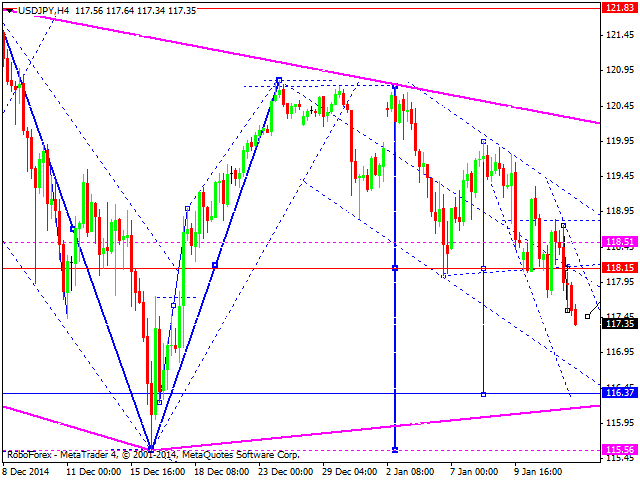 In fact, the market is forming diamond reversal pattern. 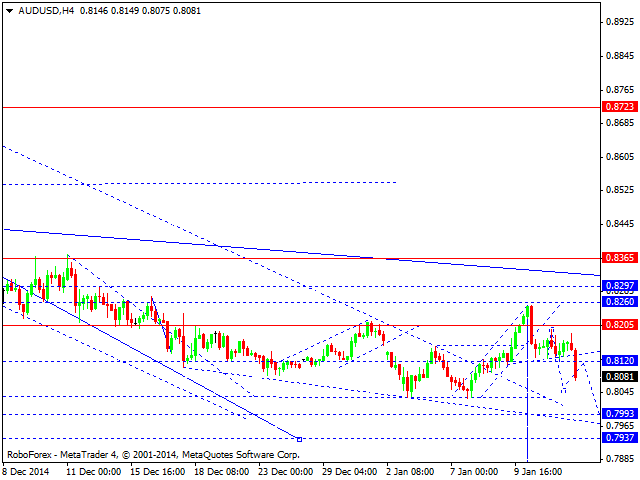 Australian Dollar continues forming a descending wave with the target at level of 0.8000. We think, today the price may form a structure to reach level of 0.8055 and then return to level of 0.8120 to test if from below. After that, the market may continue falling towards the above-mentioned target. Being influenced by decline of oil prices, Ruble continues moving inside an ascending channel. We think, today the price may break this ascending channel downwards. 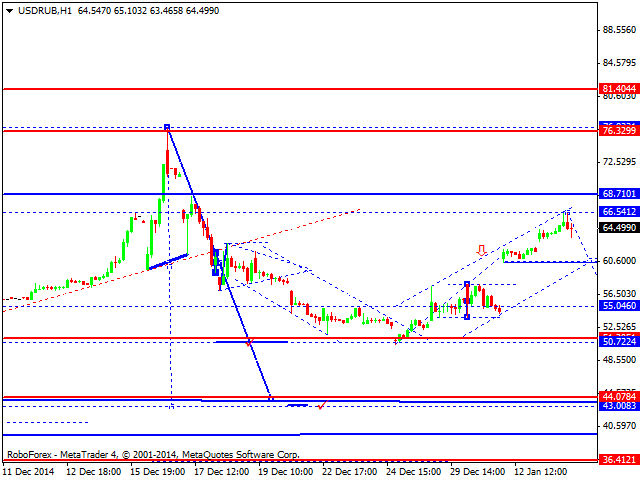 The first target is at level of 55.00. The main downside target is at level of 44.00. 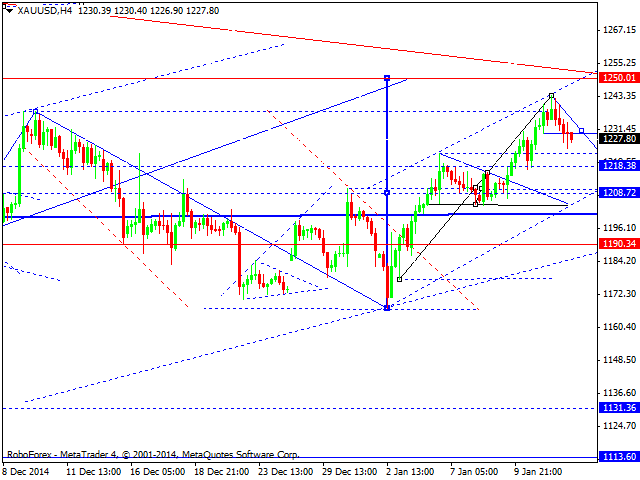 Gold is still being corrected towards level of 1218. After reaching it, the market may grow towards its main target at level of 1250. . Later, in our opinion, the price may continue forming a descending wave towards level of 1113.